Everyone, and I mean everyone,* has told me No! Don't Do It! You're too young! You'll look OLD! My hairdresser refused to even discuss it. Oh my. Am I really ready for this? People say they like my blond hair and blonde highlights. I probably do look younger as a blonde. But I feel fake. My real hair color is a medium brown. But, if you have any gray at all, you understand that roots aren't as noticeable when you're a blonde. So I've been a "blonde" for about 20 years. Every four weeks I pay for color. And every few months I pay for highlights. After only three weeks, I have noticeable roots. In the summer, the sun lifts that blonde so much that my hair looks like straw. And it looks greenish here. Ugh. I've been wanting to go natural for about five years now, but everyone has discouraged me. My family has practically freaked out. They don't want an "old" mom. I even went to a different hair salon, and they refused to help me transition to my natural hair. No. You're too young. We won't do it. Really? I've been looking at pictures of gray/silver/white-haired beauties on Pinterest and reading some blogs by women who have ditched the dye and are sharing their experiences of going natural. Some put up with the "skunk stripe" for months and patiently wait for their hair to grow out. Others just get it over with, and chop their hair to a short, spiky look, then grow it out. Most seem happy and feel more authentic. They cite the cost, the time, the trouble, the pressure by society to look a certain way, the chemicals . . . all as reasons to go natural. Some do what I'm doing . . . getting a colorist to help with the transition by adding silver highlights. So hard to show the colors properly. Yes, I got my hairdresser to do it. She was not happy, let me tell you. In fact, she doesn't even know that my ultimate goal is to go natural. She just thinks I'm embracing a trend (some younger women and models have been sporting gray recently). But once she saw the result -- we took my hair down two levels, darkening it to more its natural color, and then added silver highlights -- she loved it. She even took pictures, and wants to add more silver next time. My goal is to not have her color the base, and just do silver highlights and medium brown lowlights until I can transition to a full head of natural. And if it's a little dull, I can always enhance with those high- and lowlights. After all, I have no idea what I'm going to get. White, silver, gray? How much? It'll be fun to see. The big thing is that I'm starting to feel more like myself. And remember my last post about color analysis, and seasons? I used PicMonkey to do a little test. Look at the difference! I normally wear the top shade of pink. But look how nice a brighter shade looks with the silver. I'll be experimenting a bit. Oh, my friends, this is not a comfortable post for me to do. I really don't like taking my picture, and putting it up. And I'm afraid someone will say the new color looks awful. And sometimes I feel all this is rather shallow. After all, it's only hair. Sigh. But I bet many of you think about these things, too. Do you color your hair? Or are you embracing your true colors? Or, on the fence? Please share. * except for you, mom. thanks! Naturally, I'm a brunette. I'm 66 years young, hair to my waist and mostly silver. I got tired of coloring my hair every few weeks and did NOT like the cooking feeling with the chems on my head. I think I stopped coloring my hair in my mid to late 40's. I think your hair with your brown tones and silver lights is lovely and the way to go to transition into being your natural self. Enjoy the process of becoming more natural. Well first off let me say that my mother would have loved you - she never got to see her hair turn very grey because she died too young...........but always said a true lady allowed herself the joy of aging gracefully. I really like your new look! It looks great! I am totally grey/silver but have been colouring my hair for the last 20 years or so. I am getting to the stage where enough is enough and intend to go natural. I have decided to leave it until the winter, so I will be wearing a hat for the transitional period. I think your new look is wonderful, Deborah. Yes, I think about going natural, but then I chicken out! I used to have dark brown hair, but had to go light because of the dreaded roots. My hairdresser says that when I'm ready, she has a painless way of transitioning. Maybe one day I'll be ready? You're beautiful and I loved seeing your pretty face. I can't wait to see how your hair looks when it's all natural. Oh Deborah, I really like it! I have been hearing more and more about this new trend of even very young women having their hair dyed gray/silver. I have a mousey light brown/dark blonde as my natural color and for the most part, that is what you see with lighter blonde highlights. I tend to keep the highlights lighter in the summer and am due for new ones as we speak. I was fortunate (I guess) to inherit my mom's lack of gray hair. She had very little gray until she was in her mid 70's and then was completely white headed when she died at almost 98. I have few wispy strands of gray only at my temples so it is virtually unseen most of the time. 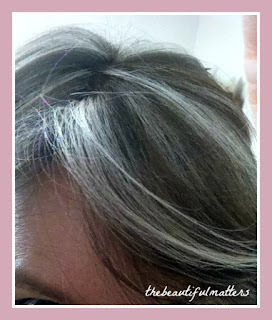 I have seen many women with beautiful silver gray hair that is absolutely stunning. I say go for it, Deb! P.S. I still have dreams of being a red head...lol! 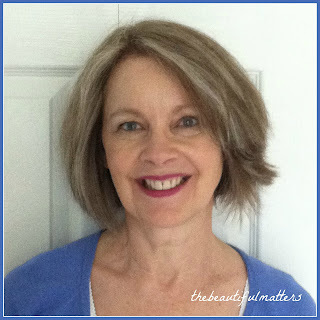 Personally, I have been "natural" for the last 15 years. . .MY hairdresser told me to NOT color my hair. He thought the silver was beautiful, and I do get comments on it. I am 57 (not really old :)), and I don't think I'll ever color again. I keep my hair just below shoulder length, and I use shampoo/conditioner formulated for silver hair. It makes it brilliant. You'll still look young, Deborah! And, yes, the bright pink color really helps. That is one color that I look for in clothing. Bright colors do work well with silver/gray hair. Best of luck! You are brave! I have never colored my hair. My concern has always been the cost and the chemicals. My hair has many gray streaks and can not go gray quickly enough. I have been ready for years. Your hair looks very nice. I really like it. Hello, You will love it! It is the growing it all out, that is hardest! 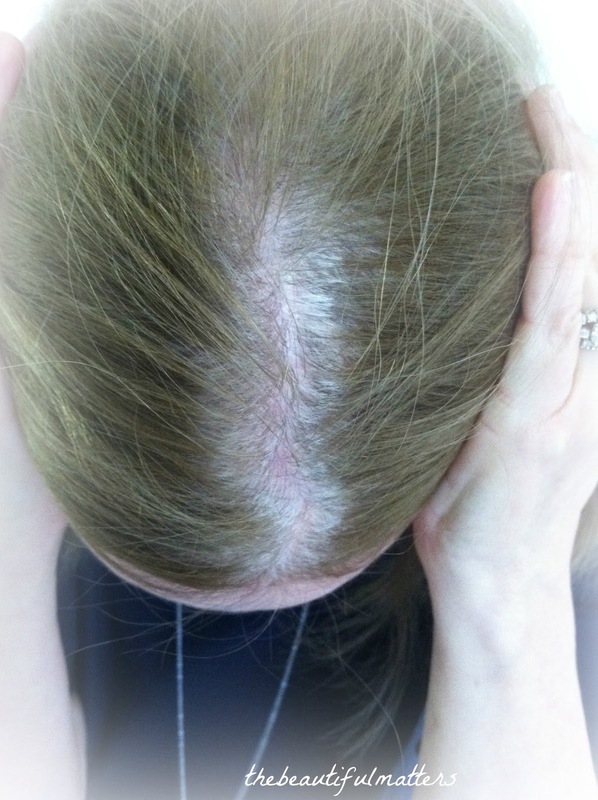 You will enjoy the more natural feeling and the harsh chemicals can really cause a reaction and even worse.I had my ears swell once and another time I found it hard to breath while the dye was on my hair... I kid you not! I have people tell me they like the silver in it now! I went all natural myself in my late 40's. I started turning grey very young. I all of a sudden grew allergic to the chemicals and my hair started to fall out. The last time I had it colored the lady asked me if I was going through chemo. I decided that I would rather have a head full of grey hair then just a few colored hairs. I have been very comfortable with the natural look. I am happy that I don't use the chemicals anymore. It is a relief too to not worry about the roots showing. I think the new look on you looks wonderful and I hope you will feel comfortable and happy with the natural look too. I too have been reading about all the new publicity of going grey. I think it is a good thing! I think you look great with your transitioning hair. I've colored mind for the past 10 years and have been thinking of going natural. But I dread the growing out phase and that skunk strip. And my husband doesn't want me to. But a colorist who could help the transition would be a wonderful thing. Kudos to you! I think you're going to be so glad you're doing this! You hair and scalp will be glad too. The new you from losing weight deserves a new look and you look chic! 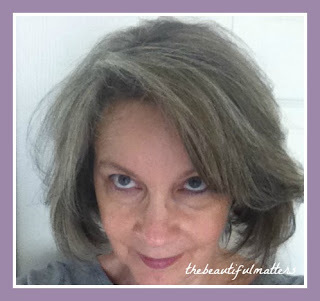 I've been gray since my 40s and platinum silver since my late 50s. I try to tell myself that Jean Harlow paid a lot of money for this look! I'm so glad your stylist was impressed! I think the last photo is the best! What a great plan to highlight with silver! I spoke to my hairdresser about this very topic last time I was in. She suggested cutting it really short too so that I wouldn't have to prolong the skunk stripe. Her parting remark was "it WILL age you!". At this point I haven't decided. My mom went prematurely grey when I was a baby, and as a kid I hated that my classmates used to tease me asking if she was my grandmother (wearing her hair in a bun didn't help!). Now my own kids are the same way about me, and are determined I should colour my hair forever. My daughter told me not to stop colouring it until she was married ... she's not even engaged at this point, so how long do I wait? I am tired of colouring it, and really whose hair is it anyway? I think you will look just as pretty with your hair silver. And maybe once your hair has all become silver, you can do the opposite and have a few darker highlights! I think we all hang too much importance on whether our hair is silver or natural. I really think that having a great hair cut is the key to making anyone look great. That last cut you show is really lovely on you :) Good luck with the transition! I hope you are still brave enough to show us how this progresses! Your hair looks great, Deborah! I colored my hair - highlights, light brown to blonde since high school. Recently I was having thinning hair and I decided to be kind to my hair. I went cold turkey with the hair color - I kept getting it trimmed and eventually most of the color was gone. Since my blonde was subtle, it really didn't look bad during transition. I do miss the blonde, but healthy hair is more important. Oh my, I have to embrace you for being so brave; shedding 29 pounds and also going natural! Well, I've never ever used any dye on my hair but all my life went natural and I don't regret it. You are so right about the chemicals and in the end; what will be left on your head? The Prednisone did already enough damage to my hair so I was feeling lucky for having my natural hair and no chemicals on top of all the side effects. Telling you the truth, you look already a lot happier and above all, softer. 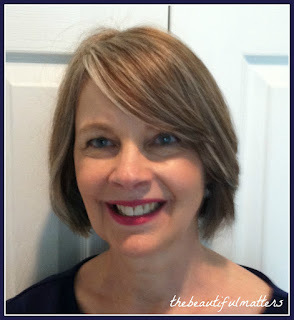 As we tend to gracefully age, our eyes, skin and hair color needs to feel like belonging together. Our wardrobe can only enhance that natural look and brings the best out of us. My friend did a very brave thing. She had her head shaved and wore two very cute wigs until it grew out. She decided that having her first grandchild was the right time for her. I am still not ready, but the maintenance is time-consuming and costly. Maybe when I have a grandbaby.... You look great! Yes! I plan on doing the same thing. Sometimes I see women on the street from behind and am shocked when they turn around. They often look young from behind but it feels deceiving when I see them face on. Hi Deborah, I love your transitioning bravery and you look gorgeous either way. I understand the need to let you really shine through. About 10 years ago I started to highlight and eventually was totally blond. Not me at all and in the end I felt too washed out from my natural brown chestnut hair. So I ended the race and went back to the color I was born with and feel like me again. Not ready to let the gray take over yet but I did take over my own coloring after years of getting it done. Now I do it myself, just on the roots and use a root rescue when I need it for the new growth. It is working out and I am me natural chestnut brown with natural reddish highlights. Enjoy your embrace to this level. We all have to be ready to go this direction and I am sure when the time comes for me I will be inspired by you!! Thank you for sharing this important post. p.s. I hope you get this comment. The blog glitch is still going on!! Bravo! I think you look younger the new way! I let mine go several years ago and transitioned exactly the same way. Now people tell me what a gorgeous silver my salt/pepper hair is. They want to know if I use a rinse...nope, all natural. So easy to care for...more time/$$ for tea, books and antiquing! Pave the way! You are returning to the way you are supposed to be in Gods plan. You are the image of God not the secular view of God. You are the same good person and if it makes you feel better, offer that money you are saving each month to the service of the poor in your area. You will look fine with natural hair. Try to imagine this: I have been waiting and waiting for my hair to turn silver. I'm now in my 60s, and only in the last few years has my hair begun to get a tiny bit of the long awaited white sprinkled in among the brown. I suppose I look at it as free frosting! Ironic, isn't it?! Oh Deborah, you are beautiful and I am not just saying that....you really are a stunning lady :) I absolutely love your new color and I think it suits you perfectly. Thanks for sharing this wonderful post. You are such an inspiration. Hugs to you! You look natural and pretty. Maybe you will be one of the lucky ones that have a pretty silvery shade of gray. Too funny about your hairdresser. Think of all the pretty things you can buy now that the money won't be left at a salon. You may be in a transition period w/your hair color, but I think you are moving in the right direction, and you look very happy about it, which is the most important part of any change. You remember my mentioning to you that brighter shades of cool would look great on you, well.............the proof is in the pictures. That brighter shade of pink just does wonders for you. Looking forward to following your transformation. As always, I'm available for advice any time. I feel as ifi t is almost "providential" how I happen to come across this post, so I knew I must comment. 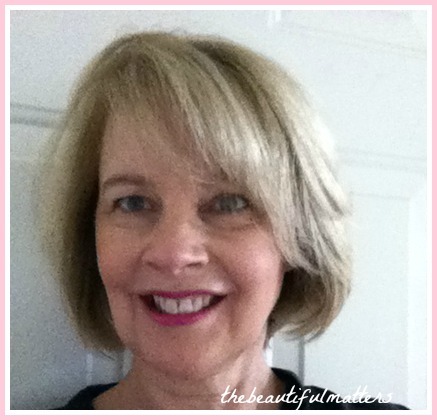 If you happen to go to my blog and look through some past posts you will see a picture of me with my natural hair (now) color(further back photos from October 2013 will show you the darker colored me). I am white headed and I love it! I permanently colored my hair for eigtheen years; in my 40's I mentioned to my hairdresser about going natural..."You're too young"! The 50's came, "You're too young!" Literally for about 1 1/2 years I admired other women who had allowed their gray and white to show. Finally, my hairdresser of over 20 years took me through the transition. She highly highlighted my hair all over...people thought of me as blond...I saw white! Anyway, after about 9 1/2 months, I got it cut. Within one full year my entire head was my natural color. I am so very glad I did it, and I would not go back for anything! I still receive so many compliments. And you know there is a young crowd that is trying to get this color from a bottle! My advice is to get a hairdresser that knows what to do. It is a process and it will take a period of time. But you might find the joy of embracing your glory. I agree with M.K., that your colors go together more now - and I think you are brave to go with your intuition and against the wishes of all those other people! It's important to feel true to yourself, and you have to be aware of who that evolving self is. What a relief you will feel when you are all transitioned. My under-30 daughter recently went through the long process of transitioning gradually to her natural color, I think mostly so that she could eventually use that money for something else.